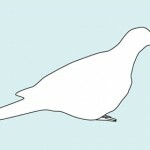 Description: Plumage has scaly appearence. Short, black tail; large black spots on wings; orange bill with black tip; and rufous primaries that are most conspicous in flight. 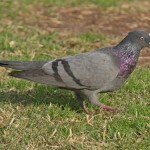 Male has blue crown; purplish wash on face, neck, and breast; and brown mantle. 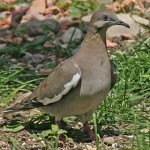 Female is more uniform, with a brownish-gray mantle and pale gray underparts; lacks blue crown. 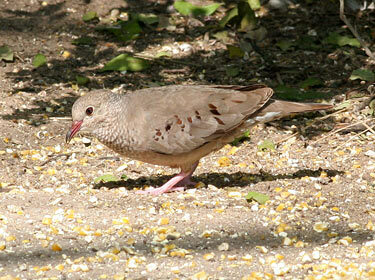 Habitat: Forages on open ground in mesquite, brushy rangelands, and on roadsides. Where in Nebraska: Hypothetical. Reportedly seen in Lincoln, Lancaster County in 1976, and at DeSoto National Wildlife Refuge in 1979. Fun Facts: An incredibly fast flier.